Sometimes it’s not what we see and hear on the news that bothers me; it’s what we DON’T see and hear! A massive Waco-style siege has been going on in Nevada, and the British media hasn’t even mentioned it. This has been sent to me by my American journalist friend, Susan Duclos. Once again a situation where federal authorities arbitrarily change laws and rules and just expect the general public to blindly follow those rules. 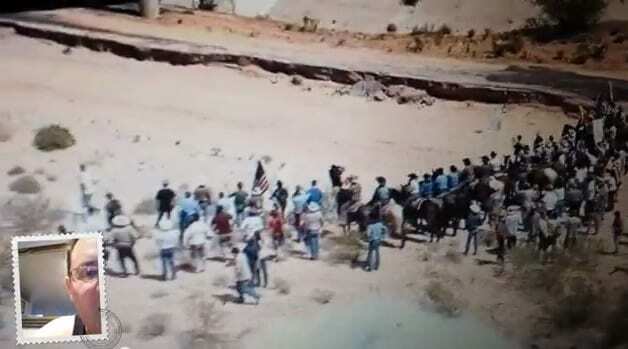 Well one man, a rancher by the name of Cliven Bundy, has refused and does not recognize any federal authority over the land and now dozens of armed federal officers, rangers and agents, are preparing a showdown with this one older gentleman you will see in the video below. To understand the principle Bundy is fighting for, one has to know that Mr. Bundy’s forefathers have been up and down that area since 1877, yet in 1993 the Bureau of Land Management (BLM) decided to change the grazing rules for Gold Butte to protect the endangered desert tortoise, an area Bundy and his family had been using since before the BLM even existed. 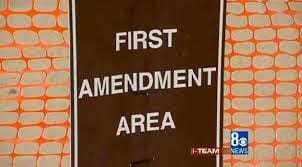 The example he talks about is how the Feds have set up a “free speech zone” in the area, a media zone and have created a wall of agents to prevent the general public from entering a 600,000-acre section of “public land,” as they prepare to round up Bundy’s cattle and sell it off. One man is standing up for not only his rights, but for freedom and liberty…… who will stand with him? Apparently Bundy’s son was tazered, and a pregnant woman was pushed to the ground. 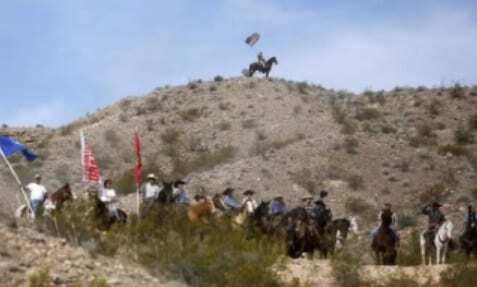 Bundy’s defenders are worried in case there are infiltrators in their midst. It only takes one gunshot and the lot of them will be mown down. The Bundy family is being guarded 24 hours a day. What an excellent write-up, thank you very much for sharing this with your readers. Update here @ http://b4in.info/aWK8 Bottom line, Oklahoma militia, 50,000 strong and others have warned Feds, do this legally or we will resist you… the US gov’t has gotten out-of-control in their land grabs and Americans have had enough.